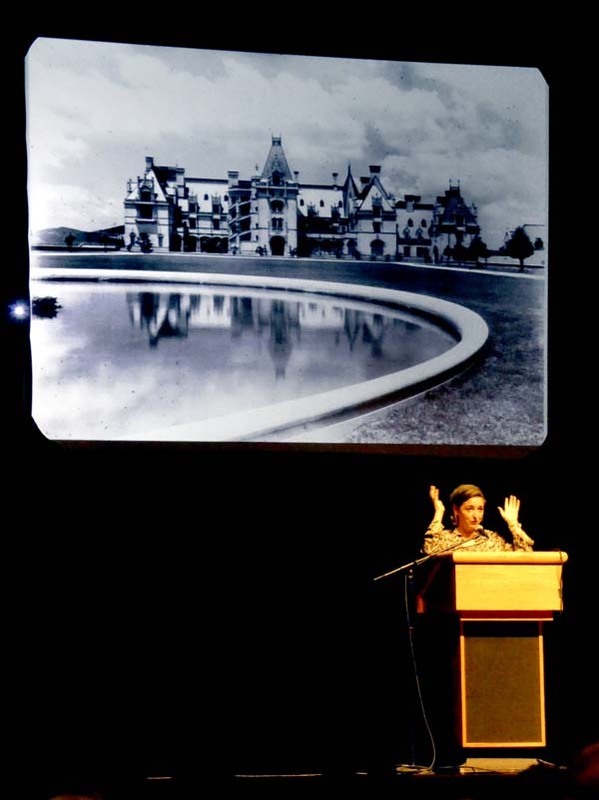 Tribune Chronicle/Andy Gray Author Denise Kiernan talks about the Biltmore mansion, the subject of her best-selling book "The Last Castle," during a Trumbull Town Hall lecture Wednesday at Packard Music Hall. WARREN — Denise Kiernan described herself as a history nerd. Being a history nerd has served Kiernan well in a career that includes everything from working as a head writer for the game show “Who Wants to Be a Millionaire?” to writing the New York Times best-seller “The Girls of Atomic City,” which told the story of the women who worked on the atomic bomb during World War II. Wednesday’s program focused on her latest book, “The Last Castle,” about the Vanderbilt family’s Biltmore mansion, the largest residence built in the United States. Kiernan first visited the home as a teenager and returned there when she and her husband moved to Asheville, N.C., about 12 years ago. She started collecting information of the Gilded Age mansion then, but the main trigger to start writing was the 2012 documentary “The Queen of Versailles,” about a billionaire couple’s efforts to build what they called the biggest mansion in the world. They failed, but even if they’d succeeded, their planned home would have been barely half the size of the Biltmore — 90,000 square feet compared to the Biltmore’s 175,000 square feet. And because of the attention the documentary received, that Florida fiasco often turned up as the top choice in Internet searches for the largest home. “It’s amazing to me how many people don’t know about this tremendous structure in North Carolina,” she said. The details are astounding — 250 rooms, 73 bathrooms, 65 fireplaces and a 10,000-volume library built on 228 square miles of the Blue Ridge Mountains, an acreage larger than Washington, D.C. But Kiernan wasn’t interested in writing a book about stats and trivia. The house and the grounds combined the efforts of Richard Morris Hunt, the leading architect of his time, and Frederick Law Olmsted, considered the father of landscape architecture. The house introduced technological advances that would become commonplace. In addition to the work Olmsted did on the grounds, George Washington Vanderbilt II brought in foresters to help restore the land, which had been “denuded and lumbered within an inch of their life,” Kiernan said. It eventually became home to the first school of forestry in the United States, and restored land known as Pisgah National Forest is a popular tourist attraction for hikers, kayakers and naturalists. 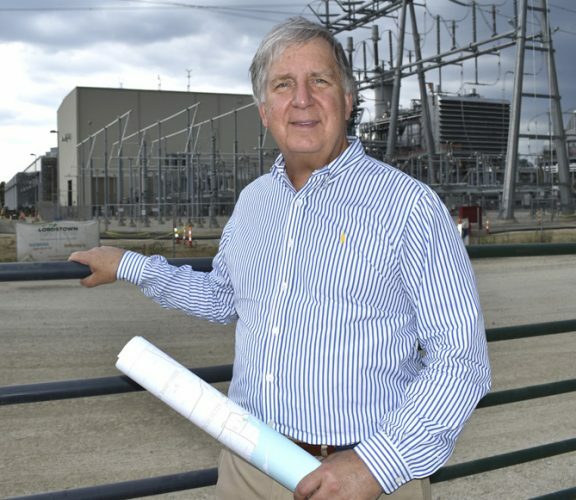 “One of the biggest parts of that legacy is not just what was built but what was left unbuilt,” she said.